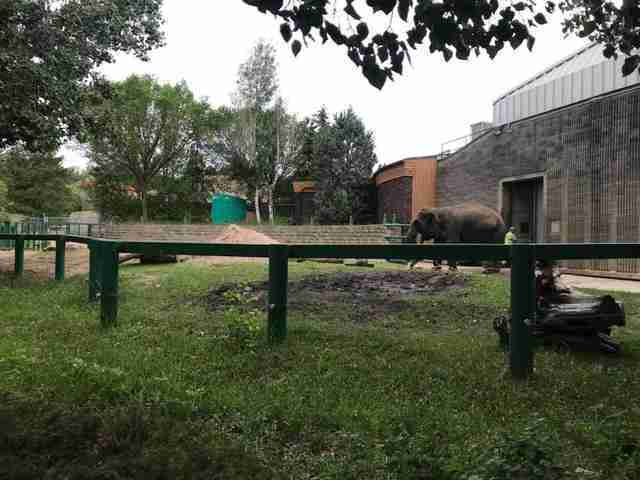 For Lucy the Asian elephant, life at the Edmonton Valley Zoo in Alberta, Canada, is as lonely as it gets. Every day for Lucy is mostly the same. She stands in her barren concrete enclosure, behind a glass wall, as visitors watch her slowly pace around. She has a tire hanging from the ceiling as a toy and no pool or mud bath to play in outside. 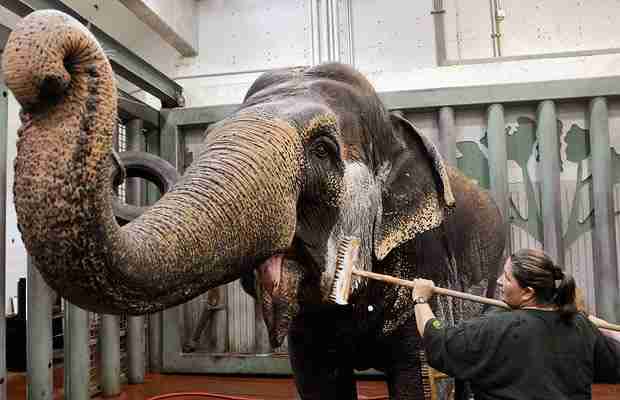 And it’s been over a decade since Lucy last saw another elephant. 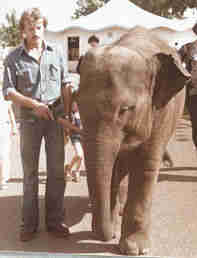 Lucy is 43 years old, and has been at the zoo since she was taken from the wild in 1977 as a calf. She was alone for many years, until the zoo brought in a young African elephant named Samantha for Lucy to “mother” in 1989. Lucy and Samantha shared the same enclosure for 18 years. It was likely just as barren then — but they had each other. In 2007, the zoo sent Lucy’s only friend away to North Carolina on a breeding loan. Samantha was never brought back. Elephants are a social species through and through, and develop complex relationships with family and friends in the company of other elephants. 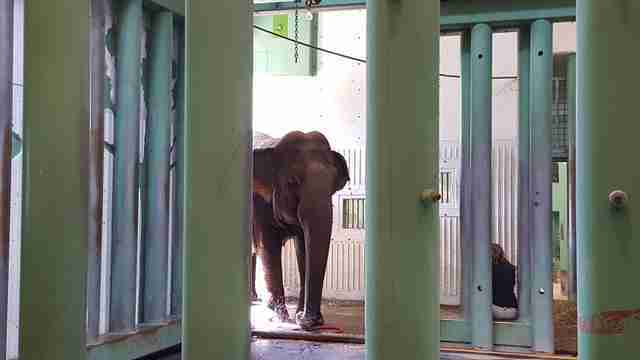 Studies show how abnormal solitary life is for elephants — yet many zoos across the world force them to live like this. 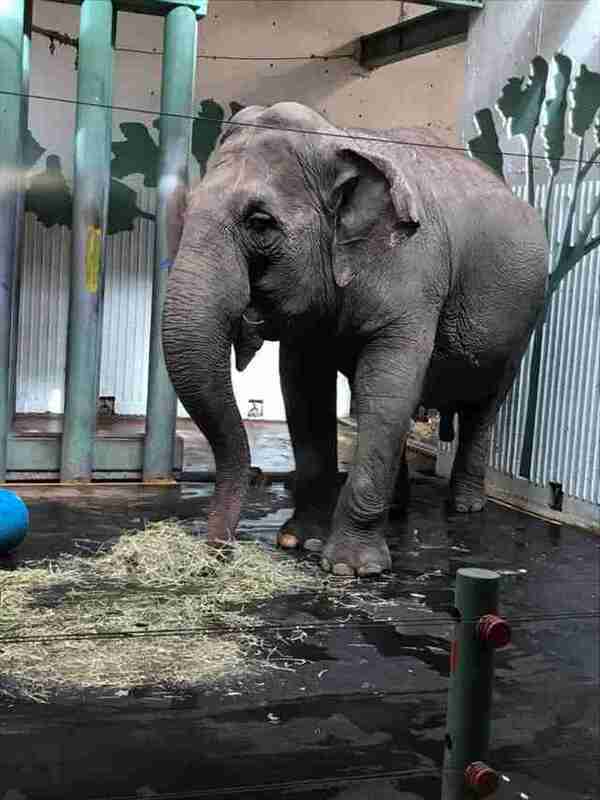 In addition to her loneliness, Lucy suffers from various health issues caused by her life at the zoo, Holm said. LEAP has been advocating for years to have Lucy sent to a sanctuary, but their calls have been ignored by zoo management and public officials who would have the power to arrange it. Two elephant sanctuaries in the U.S. have already offered to take Lucy in, and celebrity Bob Barker has even said he’ll sponsor her travel costs. 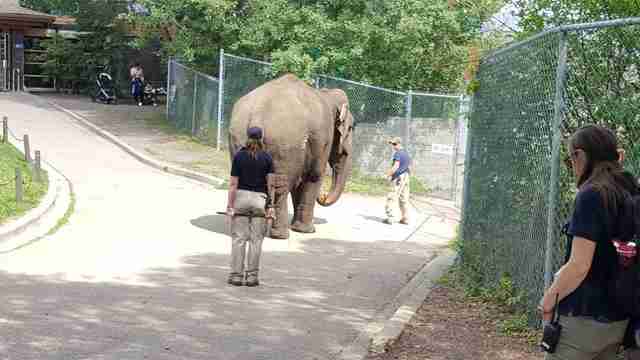 The zoo says Lucy has a respiratory condition that would make traveling dangerous — but according to elephant expert and veterinarian Dr. Phillip Ensley, this could be eased if she didn’t live in such a cold climate. In the wild, Asian elephants live in a tropical climate of around 80 degrees Fahrenheit year-round. During Alberta winters, temperatures can drop as low as -40 degrees Fahrenheit. In the warmer months, Lucy is sometimes walked around on the same asphalt paths that visitors use to walk throughout the zoo. The keeper with her always has a sharp tool called a bullhook in case Lucy strays from the path, Holm said. 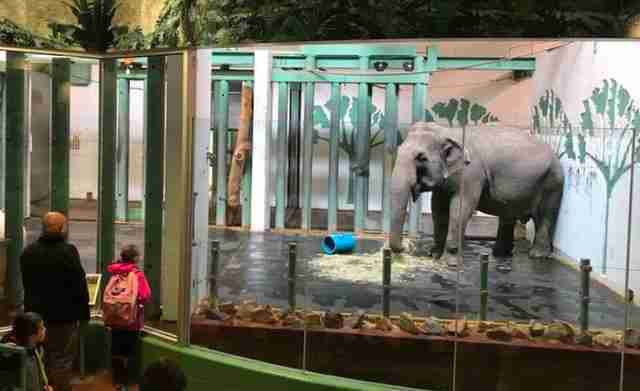 In addition to being paraded throughout the zoo, visitors can also pay to enter her indoor enclosure and “visit” her. While many locals don’t see any problem with Lucy’s living conditions, Holm and the other LEAP members hope they can change that with regular educational demonstrations throughout the community. If they can get more support locally, Holm said, then Lucy’s life could finally be changed for the better. Despite the lack of local support, Holm knows Lucy deserves nothing short of being retired to a sanctuary. 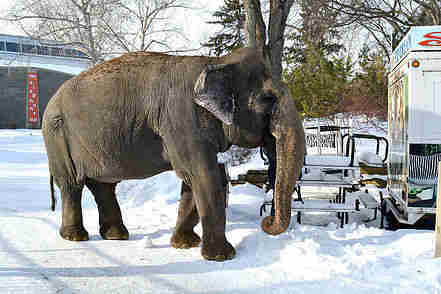 To help Lucy get to a sanctuary, you can sign this petition.